Achromat II 5mm - Hi-Stands webshop! Achromat is the natural progression from the original acrylic interface invented by Arthur Khoubesserian back in 1979. Refining the theory he subsequently launched Achromat in 2005. Ongoing refinements in composition and application means that Achromatis now more universal and better than ever. The stylus accelerates at up to 20,000g. This means your groove wall is not so much caressed but more akin to being pummelled by a road hammer creating travelling shock waves. energy reflected from the bottom of the record (a mere 2mm thick) is sensed by the stylus and heard as colouration. Can we prevent his reflection? 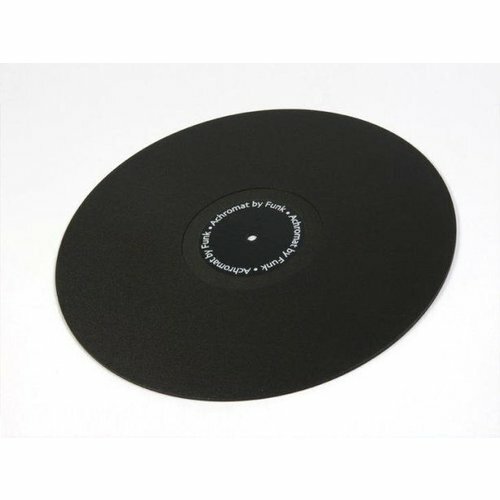 Achromat is the ideal material to absorb energy from the record. There is no better. But it is only 3-5mm thick and this is where the science kicks in. Millions of tiny bubbles within create complex pathways and that's where the energy gets lost as heat. In this way, Achromat acts like a considerably thicker mat. Its job is complete. No other mat is like it and all it takes is a simple A-B comparison to demonstrate the differences against other supports. Longer term listening allows subtle nuances as well as greater bass intelligibility to be appreciated. No wonder Achromat is the World's top selling mat. 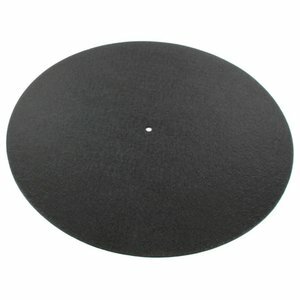 Achromat 5mm: This is the standard recommended thickness. In tests the 5mm consistently betters the 3mm mat. So wherever possible go for the 5mm. Achromat 3mm: Why the 3mm, then? - Arms with no VTA (Rega) are awkward to adjust. 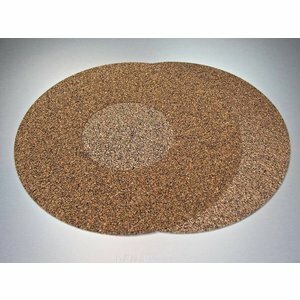 They are commonly found on decks with felt mats about 3mm thick. -Decks with short spindles where 5mm would cause problems. Note: When "tnt" reviewed Achromat they concluded that the benefits of the thicker mat outweighed the benefits of the thinner mat with a clamp! Incredible as it sounds, a £70 Achromat really does benefit every kind of turntable from the most modest to truly exotic creations costing £10,000 and upwards. Ik heb door de jaren heen verschillende matten gebruikt en eerlijk gezegd; meestal denk je een verschil te horen maar zeker weten... Dus ligt er al tijden de oorspronkelijke 5mm rubbermat op mijn Denon Dp60. Na verschillende lovende woorden over deze mat heb ik er toch maar eens één aangeschaft en hier hoor je echt wel een enorme verbetering!! De bas is mooier, intenser, duidelijker eindigend, het midden is helderder en je hoort nieuwe dingen, soms zelfs boventonen in een gitaar of zo. En veel dynamischer. De investering meer dan waard. Mooie opwaardering voor je draaitafel. Laag midden en hoog klinken voller, meer gedefinieerd en ruimtelijker. Geen idee dat een draaitafelmat zo veel verschil kan maken. Het geld daarom meer dan waard. Compliment voor de goede afhandeling van de bestelling, alles keurig verzorgd en aangetekend verstuurd via postnl.